One of the best light switch and trout micro spey lines you can find. The demand for the Super-DRI Switch Float was to have a easy casting taper for general applications mostly in the trout spey market that seemlessly integrates into a running line. No loops to interfere means total casting and stripping freedom. The Super-DRI Switch works great with tapered leaders and also turns over Polyleaders. It comes with a floating polyleader. Also available is the Airflo Switch Streamer. 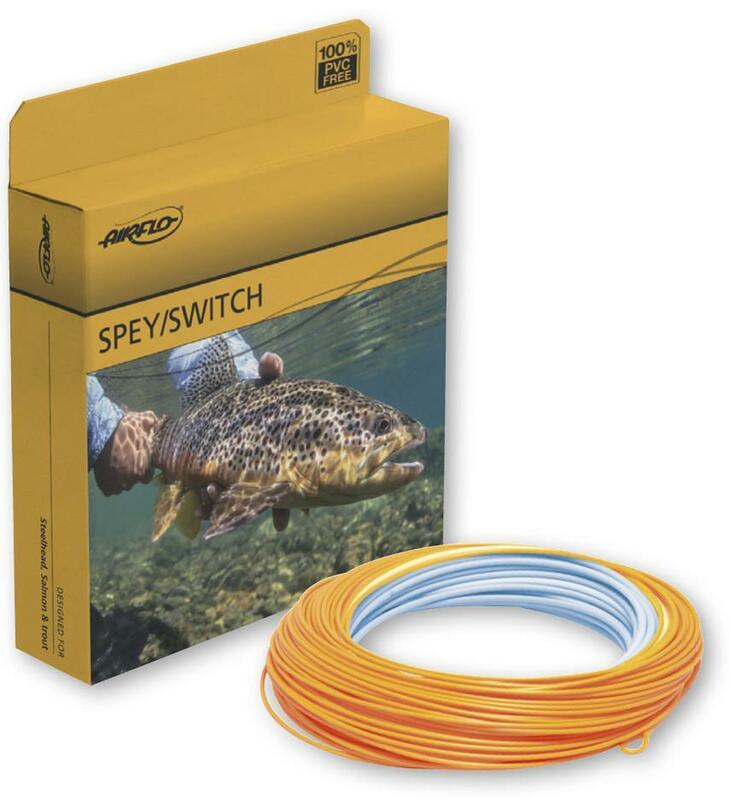 Switch Streamer is a short, Skagit head - integrated running line version made to fish with t-series sinking tips. After years of splicing, welding, and testing "Franken-Lines", Airflo has produced the best weight forward switch line on the market. Based loosely on the popular Rage shooting head, the Super-DRI Switch has a compact weight-forward head designed specifically to compliment today's shorter switch rods. The special front taper is capable of casting any leader and fly combination, and is even able to accommodate light sink tips. Find Airflo Spey Lines at "The Gorge"